Mark Jacob, with Swiss nationality, was born in Montreal, Canada, in 1975, is a graduate of the Lausanne Hotel School (EHL), Switzerland and completed the General Manager’s Program of Cornell University (USA). He grew up in St. Moritz, where his parents managed the Suvretta House. He has held several international management positions in rooms and finances divisions in luxury hotels such as the Le Bristol in Paris, the Hassler Roma in Rome, the Fairmont Turnberry Isle Resort & Club in Miami and The Fairmont in San Francisco. He also already worked for the former Dolder Grand Hotel. 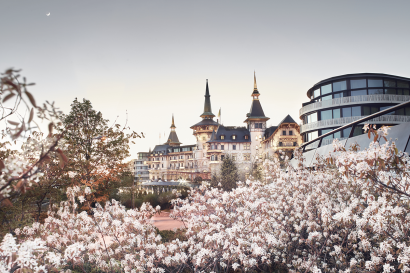 He joined the opening team of the Dolder Grand in Zurich in January 2007 as part of the Hotel’s refurbishment process. As Director of Purchasing he was responsible for the initial equipping of the City Resort, which reopened in April 2008 after almost four years of conversion and restoration works. In October 2008, Mark Jacob took over the position of Director of Rooms Division and later Resident Manager. He was appointed Managing Director in 2013, giving him responsibility of all the operations (The Dolder Grand, Dolder Waldhaus and Dolder Sports). The Dolder Grand is the perfect environment for people who are looking for pleasure, exclusivity and relaxation: (175) luxurious rooms and suites, exquisite cuisine, a spa covering 4,000 square metres, generous banqueting and seminar facilities and a remarkable art collection. The original “Curhaus” dating from 1899 presents itself as the luxury-class City Resort. 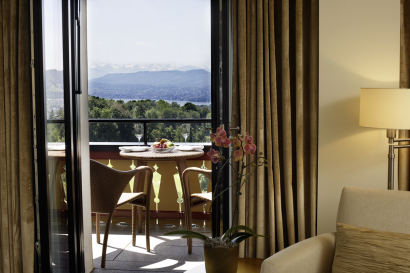 The hotel’s elevated location, between the pulsating life of the city and a refreshingly natural green zone, provides a magnificent view of the city of Zurich, the lake and the Alps. 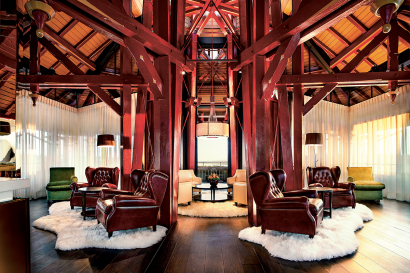 The Dolder Grand is situated in an elevated location between pulsating city and invigorating nature. By car it is only a short journey to the city centre and only 20 minutes away from Zurich Airport. We have our own car park with 240 spaces, which does incur a charge. A Hotel shuttle bus service runs regularly during the day, taking guests to the city centre free of charge. We will be delighted to take your booking for a personal limousine service. The Junior Suites Superior are between 53 and 63 square metres in size, are south-facing and are equipped with a spacious seating area and a sofa. In the new wings they also have a balcony. Bathrooms are equipped with whirlpool tubs. 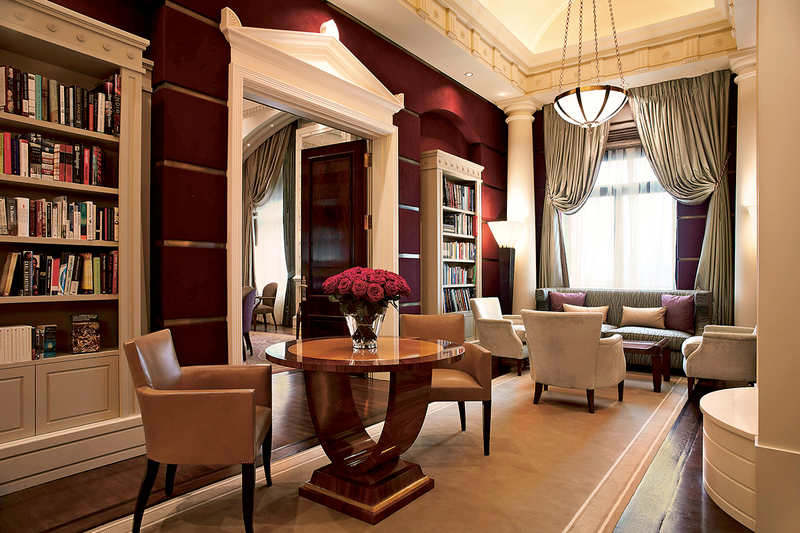 The Junior Suites Grand, which are located on the upper floors, are equipped with a spacious seating area and a sofa. They are between 54 and 64 square metres in size, and they all have a balcony and a panoramic view across the city of Zurich, the lake or the Alps. Bathrooms are equipped with whirlpool tubs. The Suites Superior with separate living rooms and bedrooms are located in the Main Building and are 83 square metres in size. The living rooms and bedrooms each have a fireplace and balconies with a view across the lake. 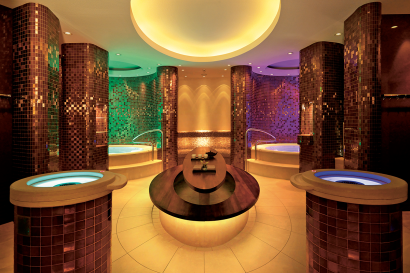 Bathrooms are equipped with whirlpool tubs, steam showers and their own saunas. The Suites Superior can be connected with double rooms superior. The Suites Deluxe with separate living rooms and bedrooms are located in the Main Building and are 100 square metres in size. 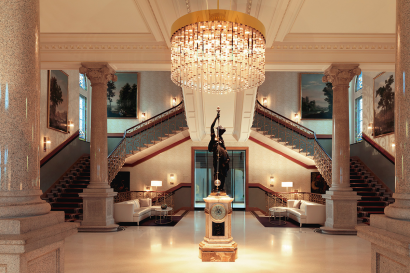 The circular, spacious living room is located in the tower and has been historically restored with a ceiling fresco and hand-painted floral wallpaper. 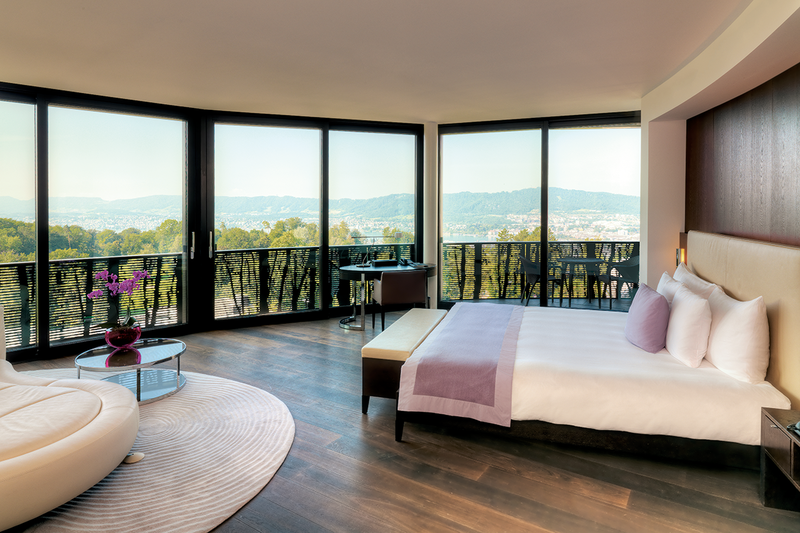 The room has a bay window or balcony with a panoramic view over the city of Zurich, the lake and the Alps. Bathrooms are equipped with whirlpool tubs. The Suites Deluxe can be connected with up to three double rooms deluxe. The Suites Grand with separate living rooms and bedrooms are located in the Main Building and are 104square metres in size. The living rooms and bedrooms each have a fireplace and balconies with panoramic views across the city of Zurich, the lake and the Alps. Bathrooms are equipped with whirlpool tubs and their own saunas. Stairs lead up into the small tower with a lounge and a private roof terrace. 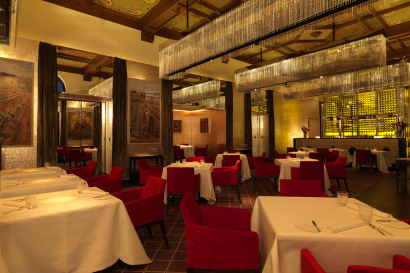 Two restaurants, the Bar and the Lobby make the Dolder Grand an oasis for exceptional gourmet delights. The Restaurant offers fresh and innovative gourmet cuisine by our Chef Fine Dining Heiko Nieder in a stylish atmosphere. The Restaurant has been awarded 18 GaultMillau points and two Michelin stars. 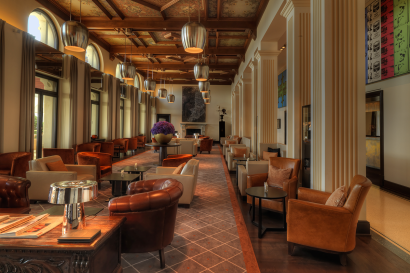 In the summer the terrace is open, with views across the city of Zurich, the lake and the Alps. The Saltz Restaurant (14 GaultMillau points) is open all day, every day, serving light, European cuisine and modern Swiss interpretations. Our Chef à la Carte Julian Mai prepares a menu of uncomplicated sophistication, by using regional ingredients reflecting seasonal specialities. Guests can enjoy cocktails and snacks in a lively and informal atmosphere. 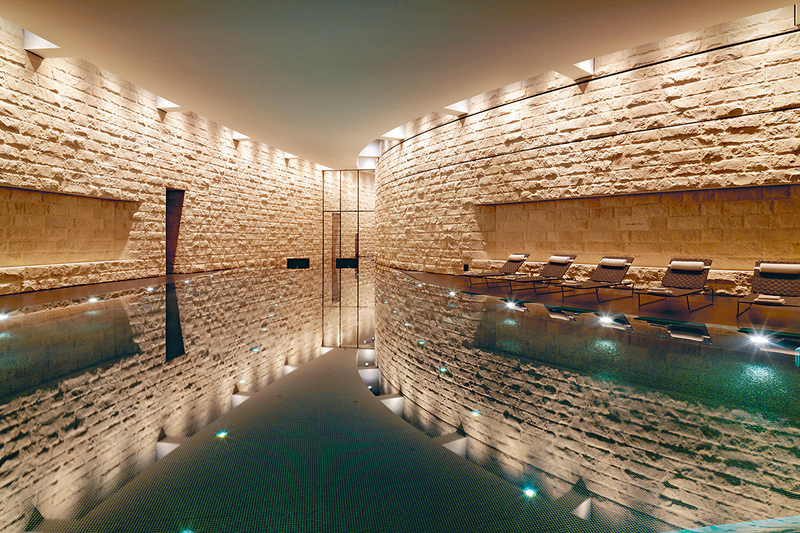 Encompassing 4,000 square metres, the multi-awardwinning Dolder Grand Spa offers a unique range of activities for your well-being – an oasis of relaxation and recuperation for body and mind. 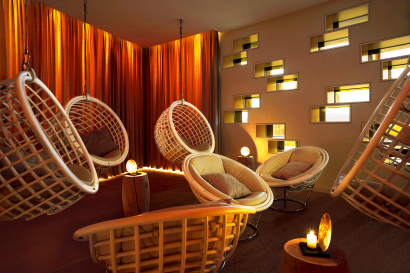 We invite you to immerse yourself in health and well-being, and restore your body and soul to physical balance and inner harmony. Our Dolder Grand Life Balance programmes will help you do just that. 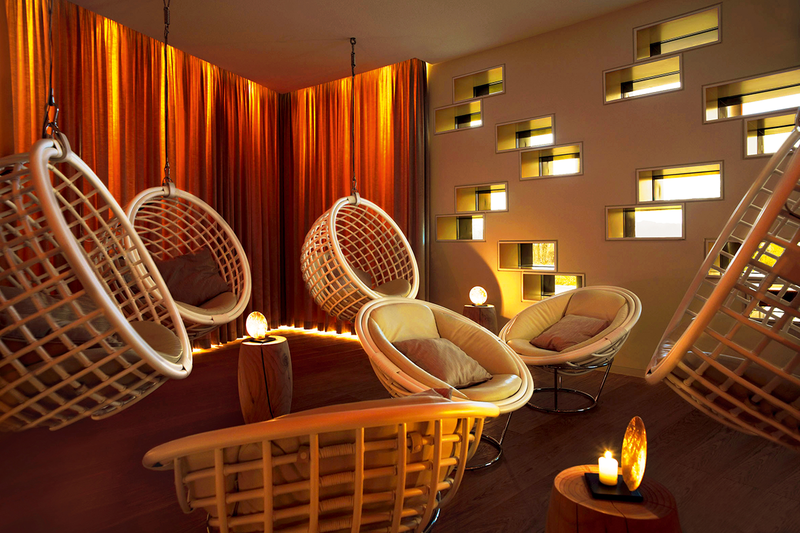 Children must be at least 12 years of age and accompanied by an adult for admission to the spa. 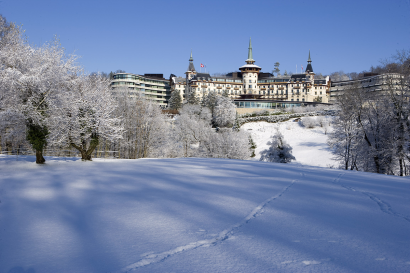 Golf: From the Dolder Grand you can look out over the challenging 9-hole golf course adjoining the Dolder Golf Club Zurich (a handicap of 30 and club member card is required). 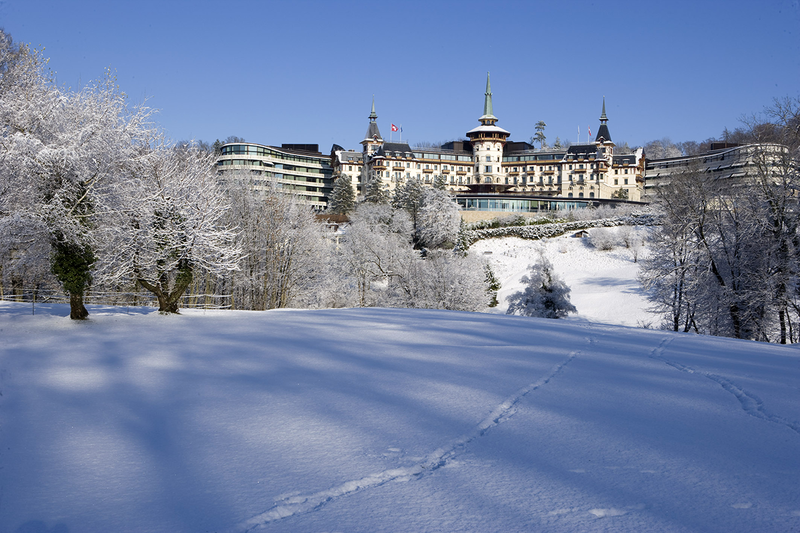 Tennis: The five clay courts of the Zurich Tennis Club, together with a clubhouse and restaurant, are situated behind the Dolder Grand. Equipment can be hired from the concierge. Dolder Outdoor Pool: Situated in idyllic natural surroundings, the public outdoor pool (Dolder Bad) is just a five-minute walk away from the Dolder Grand. In addition to the outdoor pool that is 50 metres long and 17.5 metres wide and has a diving board, there is a tree-lined lawn covering 10,000 square metres with areas for sport and sunbathing, a children’s play area, two paddling pools and a sandpit, as well as four table tennis tables and a volleyball pitch. Entrance to these facilities is free for Dolder Grand guests.